The holidays are coming! We cannot wait! It's such a magical time of year full of holiday spirit and joy and I am eager to get started on decorating the house. But first, I need to get started on our holiday shopping and that includes our fur-babies as well. We have a new puppy, Baylee, and I want to make sure she has the best first Christmas ever. Plus, I cannot forget our older dog, Rusty, He loves Christmas and all the tasty treats he gets. 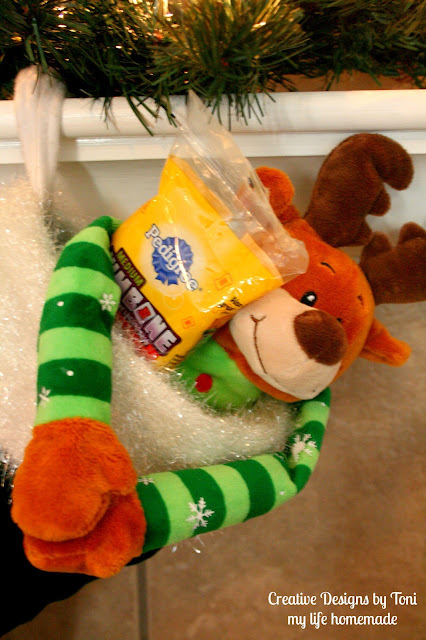 I knew Wal-Mart would have all the great treat ideas I needed to stuff both of their stockings. It was so easy to fill up my shopping cart with all their favorites like, PEDIGREE® DENTASTIX® Beef Flavor, PEDIGREE® MarroBone™, and PEDIGREE® Jumbone. They are going to be so excited!!! Shopping for pets can be a little tricky. I never know what to get them. With the boys, they usually just tell me what they want but, our pets can't talk. So, I usually have to rely on my instincts and do what I feel is best for them. Especially since we have a new puppy this year. 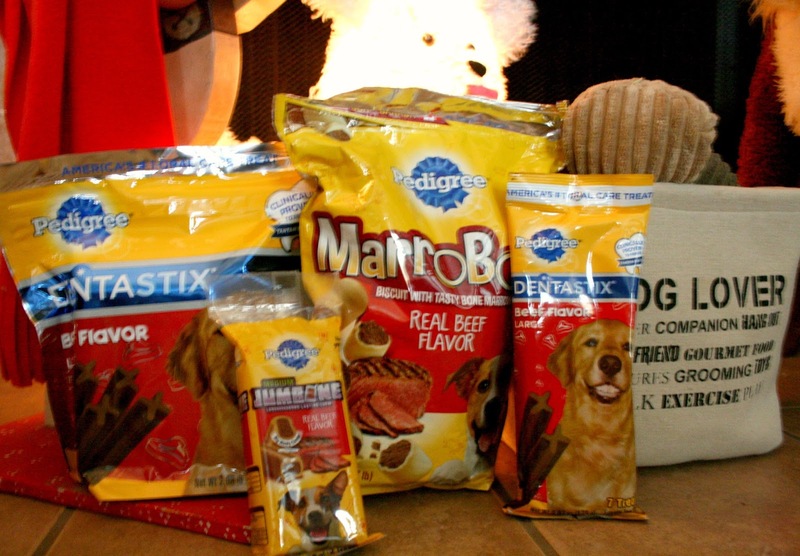 I love being able to give them PEDIGREE® DENTASTIX®. It keeps them busy and keeps their teeth clean at the same time. 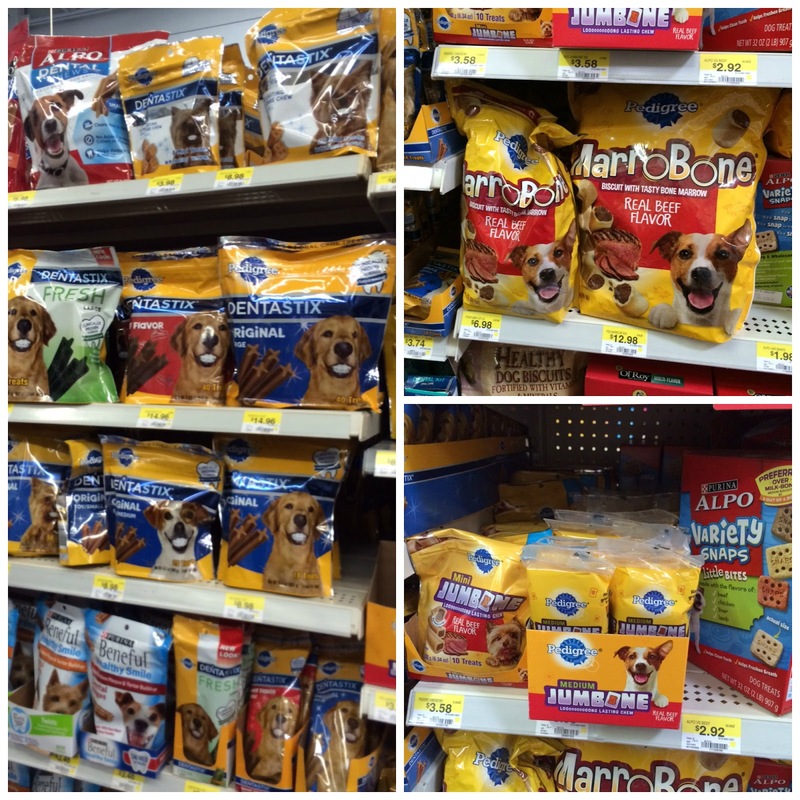 Plus, the PEDIGREE® MarroBone is perfect to help promote training and reward good behavior and trust me, our puppy needs all the help she can get! She is all over the place. She is so full of energy that I knew I had to grab PEDIGREE® Jumbone to help keep her busy while we are enjoying our Christmas morning festivities. Of course, our fur-baby stockings would not be complete without some cute Christmas pet toys all set inside a perfect puppy stocking. 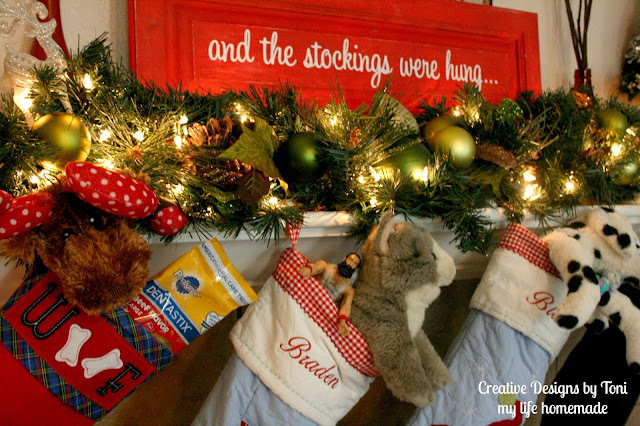 Now that we are all stocked up with our PEDIGREE® stocking stuffer ideas from Wal-Mart, I stuffed their stockings full of their favorite treats and toys and placed on our mantle ready and waiting for Christmas morning! 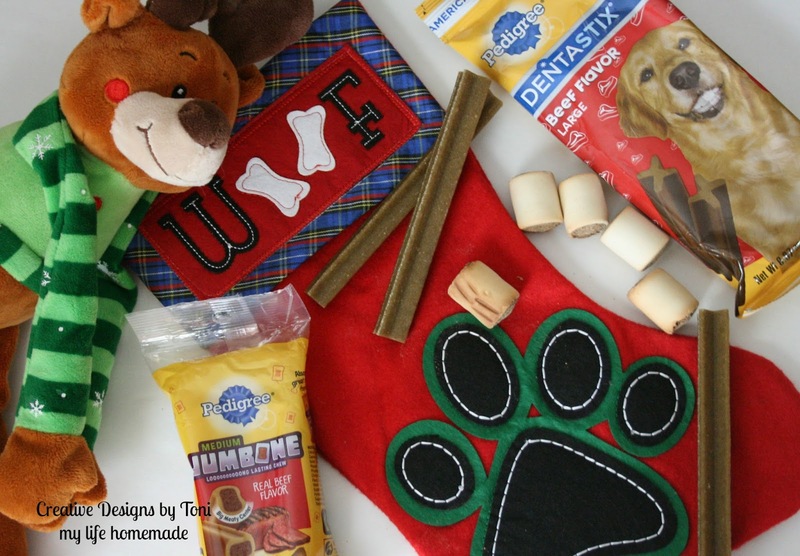 What is your favorite stocking stuffer ideas for your pets? I love getting stocking stuffers for our dogs, too! I also wrap up a few biscuits in plain paper (no tape, just twist the end) and hide them among the presents. The girls LOVE having the dogs unwrap their presents along with us! So cute - I love doing stockings for pets. They're part of the family, too! These dog bones look like a great gift for the family pooch. Such a great idea! Pets really are part of the family :) I know my beagle gets excited any time we have a "gift" for her. Aww! I love this! This is great for so many pet owner that consider them their 'fur babies'. My dog would love these ideas. I think I'll have to make sure my youngest daughter realizes they aren't hers. She's thinks she's a pup too. I love the stocking! Such a cute idea. I love that stocking. Too cute!! We just bought our pups new stockings! We'll be shopping for stocking stuffers next week. Thanks for the ideas! So cute! 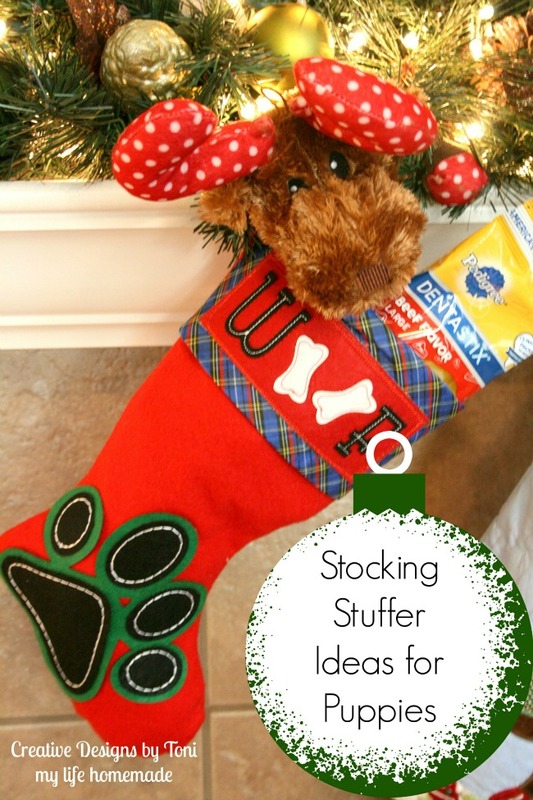 We always loved filling stockings for our dogs. It's a great tradition! Our dog LOVES her Dentastix! Ok, she's not thrilled with the green ones, but she'll eat them after she makes sure we don't have another flavor to offer, lol. Any of the other flavors are a sure win for her. This is a great idea for the pups. The kids were wanting to give the pets stockings too, and this is something we normally would have been buying so it's a great idea. Thanks for sharing! I might have to do something like this for my parents dog! Cute! I always loved getting Christmas presents for my cat growing up, I love this idea! Ha! So cute! 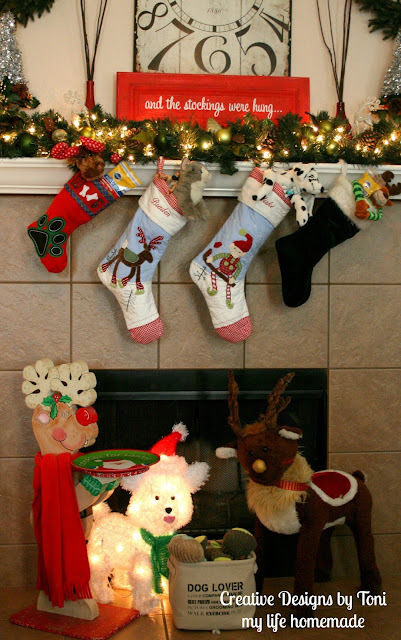 Never thought of doing a stocking for our dog, may have to this year! I love putting together a stocking for our dog each year. I fill it with treats, toys, and lots of balls because he loves to play fetch. We are going to be fostering a puppy until Christmas. The little guy is going to be a Christmas gift for a friend's little brother. I have no idea what to give a puppy as a present so I will gladly use one of your ideas. Thanks. Such a cute idea for a family with pets.